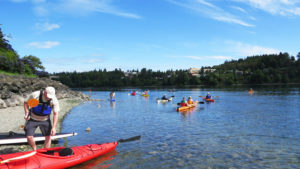 Kitsap Peninsula National WaterTrails (KPNWT) offer residents and visitors year-round access to enjoy water-related activities; from kayaking around bays and coves to sailing around the entire Kitsap Peninsula. On May 2014, the KPNWT was designated by the US Department of Interior part of the National Water Trails System, the first in WA State and the only natural, saltwater trail in the USA. Today, the 371 miles of shoreline that encompass the KPNWT is a major attraction for a variety of water-related activities – kayaking, SUP, boating, scuba diving, fishing, wildlife viewing and leisure strolls along pubic piers and beaches. Use the links above to learn more about the KPNWT and new KPNWT Inter-Active Map with links to help you explore and enjoy the Kitsap Peninsula National Water Trails! 2018 Ride the Tide Anytime! Summer is a perfect time to Ride the Tides all around the Kitsap Peninsula National Water Trails. Visit our Routes page for popular routes and our Interactive Map page to find locations where you can launch your watercraft anytime. 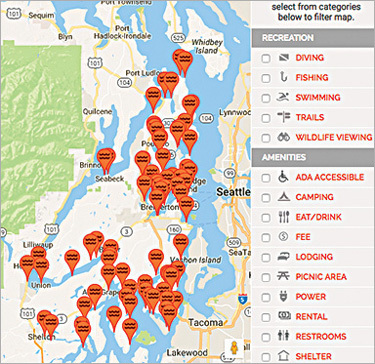 Introducing our new Interactive Map featuring 84 popular access locations located around the Kitsap Peninsula region. Visit our “Map” page to learn more. The KPNWT Inter-active map was funded by Kitsap County and a grant from the WA State Dept. of Commerce to support economic opportunities related to outdoor recreation. 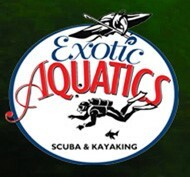 If you are hosting or know about an up-coming water trail event send an email to [email protected]. 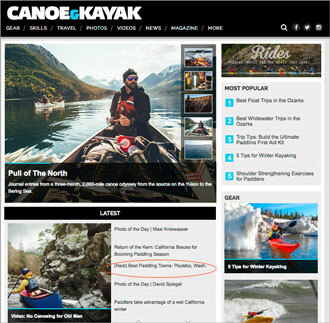 The Kitsap Peninsula National Water Trails featured in CANOE & KAYAK‘s Spring online issue. Read the great article written by staff writer, Natalie Warren who visited Kitsap this past summer and toured the region courtesy of the VKP. Poulsbo Named one of the Next Best Paddle Towns in USA. Click here to read the article.